Prayer is a subject I’ve been working on studying, so this seemed like a good book to read through. Hummm…This is one of those books that is really hard for me to review. There were parts of the book that I really liked and agreed with. There were elements to spiritual warfare that were discussed that I think far too many Christians are ignorant about. There were inspiring stories and exciting answers to prayer. The reading style was also easy to follow, and although I had to read the book in lots of short sittings (compared to all at once), it wasn’t difficult to understand what was being said. The author also used a lot of Scripture to back up what she was saying. My problem comes in with the fact that I didn’t always agree with how she interpreted the verses she was quoting. Some parts left me shaking my head, or else wrinkling my nose, because I didn’t see eye-to-eye with her. There were enough instances like that, that I wouldn’t recommend the book, although I did learn a lot from it. It was interesting to read this book right after reading Dutch Sheets’ book, and this book actually quoted Dutch Sheets several time. The Intercessors Handbook was helpful, and eye-opening, but I don’t see it being a re-read. 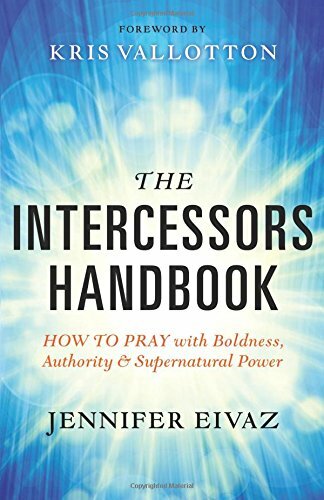 I’m giving The Intercessors Handbook 3 stars out of 5, and 6 stars out of 10.